Hadrosaur Productions is currently working on several new projects. We recently released my new book, Firebrandt’s Legacy, along with Fallen Angel by David B. Riley. We plan to release the exciting novel Armageddon’s Son by Greg Ballan later this month and Sheila Hartney tells me we’re currently getting some great submissions for our anthology Exchange Students. We’re also branching out and collaborating with Seelie Studios on an audio adaptation of Firebrandt’s Legacy and we have even more exciting things in discussion that I’m not at liberty to talk about yet. Because of this growth and because technologies are changing and more and more people browse the web on their mobile devices, we realized it was time to give our website an upgrade. The goal of the new site was to create a clean layout that’s easy to navigate and understand. We have the updated logo Laura Givens designed for the company that appears on all our recent releases. New books are featured on the front page. The store link will take you to a page that shows all of our titles. Each book is now given its own unique page, which makes it easier to search for and allows authors and others to easily link to favorite books. The new site is still something of a work in progress. The long-term goal is to put all of the books and their related data into a database which can be queried and to allow custom searches of our products. Right now, the “store” page is just a hard-coded page showing all of our products, but we know this will likely get unwieldy as our product line grows. Much of the credit for site’s new look goes to my daughter, Autumn Summers, who went over the old site with a critical eye and re-coded much of the site into a more mobile friendly version. In order to add pages, this means I’ve had to learn the hypertext preprocessor language, PHP. Now that she’s gainfully employed as a software engineer, it’s hard to say whether she will have time to continue site development, but she has given me a solid leg up and helped me learn new skills. People familiar our displays at conventions know that I not only carry books published by Hadrosaur Productions, but books I’ve written or edited for other presses. We used to list these books on the site, but decided in this upgrade to focus on products that actually carry the Hadrosaur Productions imprint. Again, when we develop the database capability, we’ll likely expand our offerings to include all the books we carry at conventions. As always, if you purchase one of the books I’ve written from the Hadrosaur Productions site, I’m always happy to autograph it for your before it’s sent out. Just place your order, then go to the “Contact” page and send a message letting me know that you would like the book signed and if you would like it personalized, or if you just want a signature. Allow a little extra time to receive a signed book because my observatory schedule sometimes keeps me from being right there as orders come in. So, what are you waiting for? Go to http://www.hadrosaur.com and browse the store. I bet you’ll find some great books to read this spring and summer. What’s more, many of the books are available for only half the cover price! I started this week thinking about some updates I’d like to do for a website that promotes my science fiction novel, The Solar Sea. As the week progressed, a possible book signing opportunity for my vampire novels came up, which got me thinking about those stories and what kinds of things I’d like to do as part of the event. 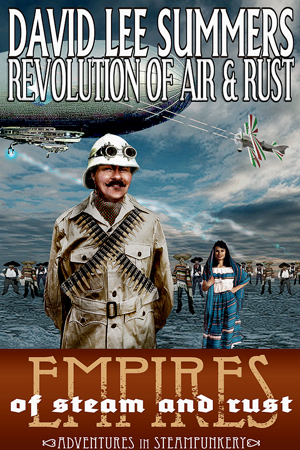 Yesterday, a letter arrived which had a nice review of my steampunk novella, Revolution of Air and Rust. It’s been something of a fun, but dizzying dance and it’s caused me to think a bit about the notion of the author as a brand. If you pick up a book by Stephen King, you know there’s a good chance you’ll get a strong, character driven horror story. If Diana Gabaldon wrote the novel, there’s a good chance it involves time travel, romance, and Scotsmen. At some level, I’m not so easy to pin down. I’ve written about space pirates in the far future, vampires in the present, and mad scientists in the Arizona desert of a century ago. I have fun exploring all these things and I’d have a difficult time picking just one topic to explore in my writing. I have to admit, thinking about myself as a “brand” always feels a little weird. That said, I think there are some common features among all David Lee Summers novels and stories. I see much of my writing as a search for the magic within science and conversely a search for science within magic. Specifically, I like to find ways of making magical things seem plausible and explainable, but I temper that with a sense that science is a process of learning, which means we don’t always know as much as we think! In various conversations, it’s clear that not everyone who likes my science fiction is interested in my horror. Not everyone who reads my horror is interested in my steampunk. That doesn’t bother me at all. My own reading can depend on a lot on my mood on a given day. Still, there are some people who seem to like it all and find those threads that link the books together. I’m not the only writer who has an interest in several genres. Some take on pseudonyms for the different genres they write. Others, such as Cherie Priest and Jane Yolen, have found some success writing for multiple audiences and in multiple genres under their own name. One reason I raise this topic is that I’ve been thinking about setting up more of a presence for my books in venues like Facebook. An easy solution would be to set up a page for “David Lee Summers, Author.” As I mentioned earlier, though, I find it a little strange to think of myself as a “brand.” It easier to think of “The Scarlet Order Vampires” as a brand or “The Clockwork Legion” as a brand. In fact “The Scarlet Order Vampires” have their own blog and page on Facebook, which leads me to wonder if it would be better to create pages for my different book series. The problem then, is providing new and fresh content regularly for all the pages! So, I thought I might throw this question out to those who read the ol’ Web Journal. Do you prefer to follow one author’s site or Facebook page, even if they write series that don’t interest you? Or, do you prefer to simply follow those series which interest you? I’m guessing there’s no one right answer, but I’d love to hear your thoughts on the subject. First off, I hope all of my readers here in the United States had a Happy Thanksgiving this week. For me, this has been a pretty remarkable week. 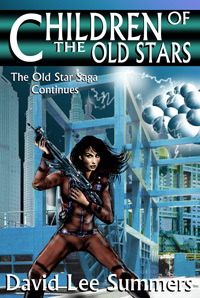 On Monday, my publisher emailed me to say they had reduced the price of Children of the Old Stars—the second novel of the Old Star/New Earth series—to 99 cents. They also said the novel was going to be featured in the Bookbub Newsletter. Sales of the book picked up nicely at Amazon that day. Also, since it was book two of the series, people began downloading book one—The Pirates of Sufiro—which is free. The result was quite pleasant. For most of this week, I have been on Amazon’s list of the 100 bestselling authors in Science Fiction. As I watched all this happen, I realized people who had downloaded the book, or discovered me from the bestselling author list, might want to learn more about me by visiting my website. 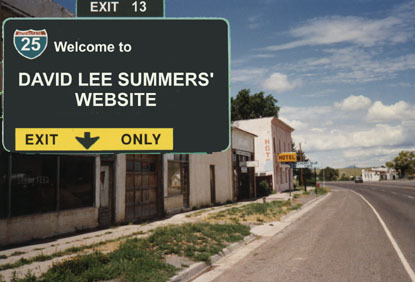 As such, I took a good hard look at davidleesummers.com and realized that it had been far too long since I had updated some of the pages, including the front page, which is the first impression people will have. Now, my website has been around for a while. It will be 20 years old next year. When I first built it, the “Information Superhighway” was a shiny, new concept. So, I dubbed my little stop on that highway as a “wrong turn” right from the outset, because often the most interesting stops are the ones you never intended to visit! I have taken the website through several upgrades in 20 years and done my best to keep it up to date, but it’s easy to get used to one’s own website. I needed to evaluate the site with a fresh eye, and that brings us to the subject of this week’s post. The word blog is a contraction of the words “web log.” Web logs were the place where system administrators would record changes made to a web site. However, some system administrators would use the web log as a place to talk about philosophy, their favorite TV show, or their favorite game. Eventually other people began using this web logging software to post their own thoughts and thus modern blogging was born. Today, I’m taking the blog back to its roots and recording the updates to my website! First off, I took a good hard look at the first page. I realized that at first glance, it was not clear what kind of website you had landed on. It was too wordy. So, I streamlined and better organized the text. This allowed me to move the Amazon widget that displays my books into a better position. I also added a few of the reviews people have given my books to the first page. My goal has been to make it clear that you have landed on an author’s site while retaining the kind of retro-future look to the site that I believe characterizes much of my writing. I also wanted it to be welcoming and inviting, encouraging a visitor to look around. I’ve done a pretty good job of maintaining my pages that tell about my novels, short stories, and show my events calendar, so I did very little work on those pages. Over the last couple of years, I’ve realized people have taken a real interest in my astronomy work. To that end, I put a lot of attention into sprucing up the astronomy page. I added a couple of recent photos and made them clickable so you can see them full size. I also added more detail about my astronomy background including some links to places where I’ve worked. Finally, I updated my publication list with this year’s new supernova paper that I contributed to. I then moved on to the bio page. Sadly, I had let that page get very outdated. I also realized that it was very clunky looking with three old photos of me. Those photos were fun to see, but they were a bit outdated. I updated the text, updated the photo, and included links where you can find me online and interact with me. Finally, I took a look at the links page. I discovered a number of dead links and saw that the format was not really conducive to easy navigation. So, I cleaned up the page, removed the dead links, and added a few new ones. Just to note, I take this list of links very seriously. My goal is to link to people and organizations who my readers would also find appealing. Some friends were left off, for example, simply because I didn’t think we had a strong overlap in potential readers. I also wanted to keep the list manageably short so people could use it as a good jumping off point to explore more. So, if you’re a friend and don’t see yourself there, don’t take it personally. Ideally, I’ll come back in a few months and shuffle the list around and add some different links just to keep it fresh. We’ll see if I actually manage to do that! You’ll likely notice that I kept much of the “highway” theme going as a tribute to the site’s history. After all, we’re coming up on the 20th anniversary. It would be a shame to dump it now. In 2014, I’ll take a fresh look at the site’s place on the Information Superhighway and decide if it needs another makeover. So please, drop by davidleesummers.com, explore and let me know what you think. I’m hoping you’ll find some of these changes fun and informative.